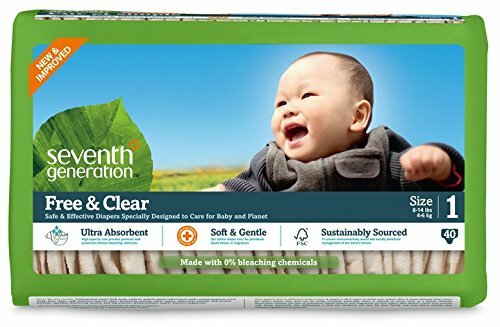 I hadn't heard of the Earth's Best brand until I started reading reviews of the best "green" diapers. Earth's Best kept coming up as the cheapest option for a more eco-friendly diaper so I was immediately intrigued. I got $50 worth of EB diapers for $30 on Diapers.com which was awesome. 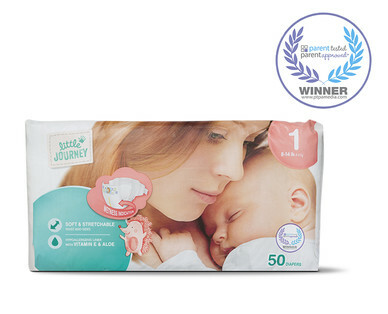 The fit has been excellent, we've had no leaks and obviously the fact they cost the same as most regular diaper brands is a huge selling point. They also have a rewards program, so when you buy any EB products, you can use your points to enter to win great prize packages and coupons. I've found that they are also frequently discounted on Diapers.com and Target's Cartwheel app. The only downfall for me is that they're really plain-looking. I know that shouldn't matter, but as I mentioned above, I'm a sucker for cute diapers! I'm not sure when exactly it happened, but EB's prices have gone up since I first started using them with Charlie. They also discontinued their rewards program which was super sad. I still think they're great quality, but don't buy them anymore because of the price. 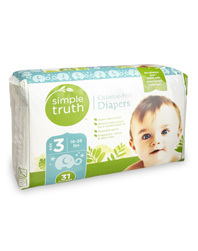 Once the Pampers ran out, we switched over to our stash of Honest diapers. Since Charlie was such small baby, I was glad I had more than enough NB-sized diapers to go around. When it comes to Honest diapers, I love that they are cruelty-free, eco-friendly, plant-based...and mostly biodegradable. But if I'm being truly honest, the main reason I love them is because they have the cutest designs! I figure, if I have to change a poopy, stinky diaper, I at least want something cute to look at. 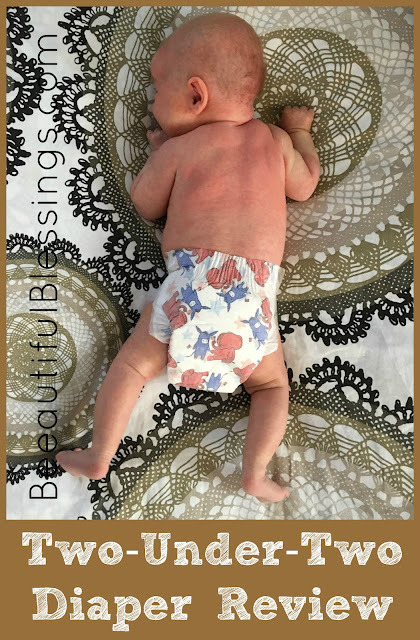 The biggest downfall of Honest diapers? The pricetag. 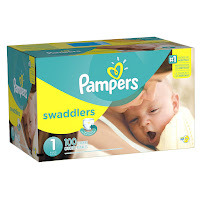 For about a month supply of diapers through their subscription program, you're paying $80. It's definitely on the higher end, and I just don't know if it's worth it to spend that much for something my baby is going to wear for 3 hours, pee in and then throw away. 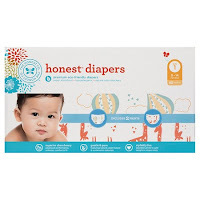 You can now buy Honest diapers in-store, but they're even more expensive than the subscription. I'm an Aldi addict, but I was always salty about the fact that I had to buy all my baby-related products at a different store. That was until they came out with their Little Journey line this past August. Praise hand emojis! Admittedly, I was kind of bummed out by the quality. They're not bad, but they're not great either. 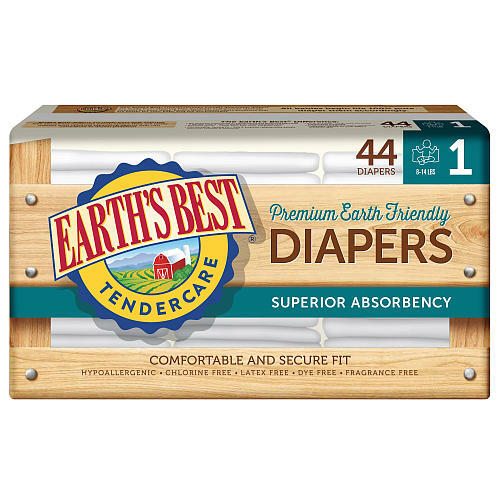 Since Aldi is pretty organic and health-centric, I expected that their diapers might have some kind of eco-friendly quality, but no. I've never tried Huggies, but I've heard they're comparable to those. 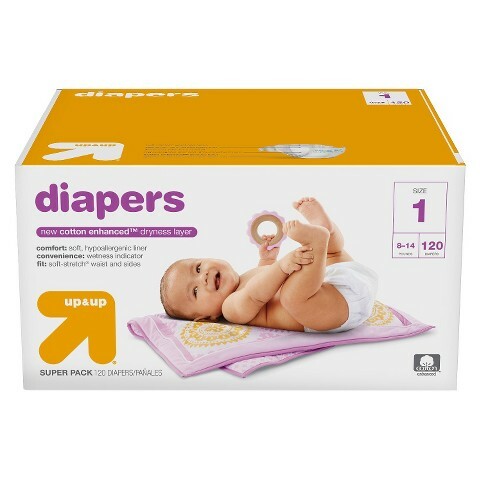 They're the cheapest diaper I've seen, but I just really don't like them enough to buy them. I will, however, say that I love their wipes. They sell a 3-pack for $3.49 so I usually pick one up on every grocery trip! 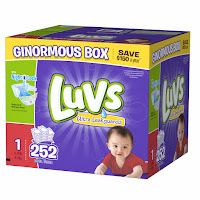 Once, we made the transition to Size 1 diapers, I had a hand-me-down package of Luvs that I thought I would give a try. I was excited by the fact they looked all fluffy and comfortable and the tabs are so good at holding the diaper in place! However, we couldn't even make it through the entire package because we couldn't stand the way they smelled! As soon as Charlie would pee, they reeked of this headache-inducing, ammonia-like smell. 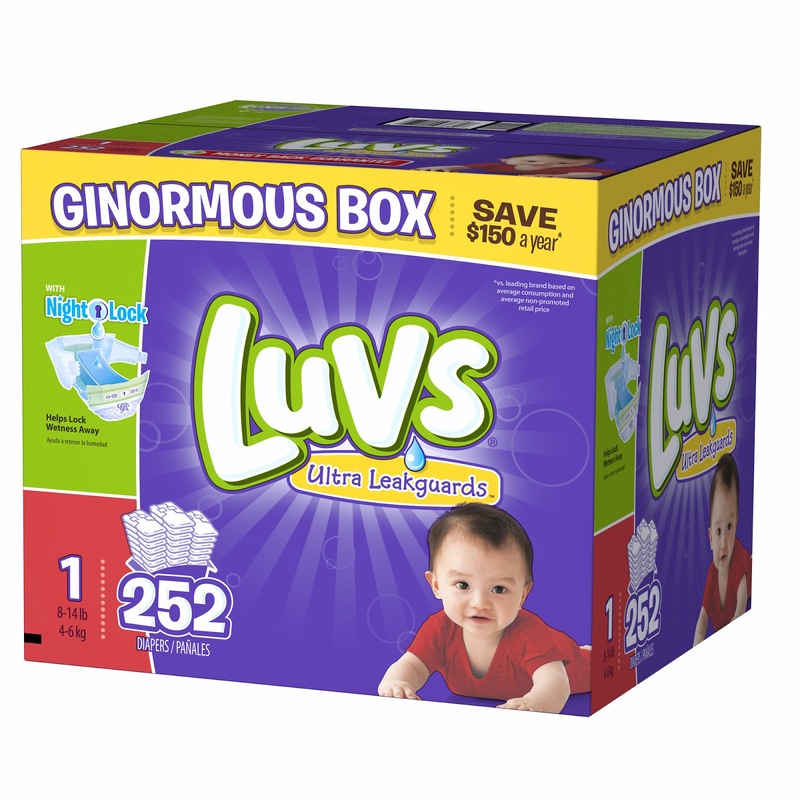 With all the other diapers, we could smell if he peed when we took a big whiff, but with Luvs we could tell from 10 feet away. That fact alone took off major points for me. I still detest Luvs. In my pursuit of running an environmentally-friendly household, I've purchased SG products in the past and was ambivalent about their performance. Their diapers garnered pretty much the same response. They are unbleached, so the aesthetic is equivalent to taping a brown paper bag to your wee one's hiney. As far as quality, I wasn't overly impressed. Charlie had a medium-sized poop one day that was barely contained. They're also not biodegradable. Boo. On the plus side, I thought the tabs held well. Crosby averages a poop every 1.5-2 weeks (not kidding), so we have yet to see how they hold up with him. But I have to say, they've grown on me. I feel though they're a lot more absorbent than I remember them being and they recently switched from the plain brown to cute, kid-friendly designs! These have become our go-to diapers of choice. 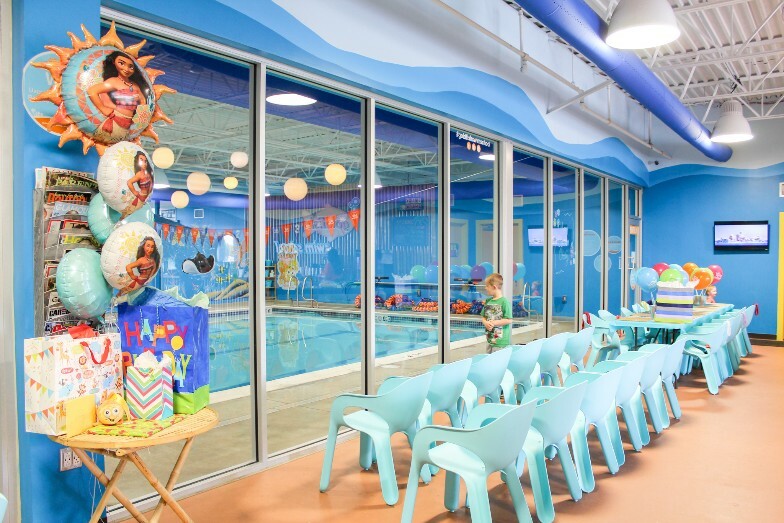 They boast being chlorine-free and plant-based so they're more eco-friendly than most store brands. They're almost always on sale and Kroger frequently sends me $1 or $2 off coupons in the mail, so they've made this Mom a very happy camper! They're plain, but for the price I really don't care. I'm not a huge fan of the quality of these diapers- they get really bloated and heavy and seem to barely contain the mess. They also don't hold up overnight. They do have a wetness indicator, but I don't really see the use in it past the newborn stage. If your kid has a wet diaper, you're going to know. That being said, they're already incredibly low-priced and Target has frequent sales and promotions. Not to mention there's almost always a 5% discount on the Cartwheel app (and an additional 5% if you use your Red card). So if you're looking for purely economical, these ones are a winner. What have your experiences been with these brands? 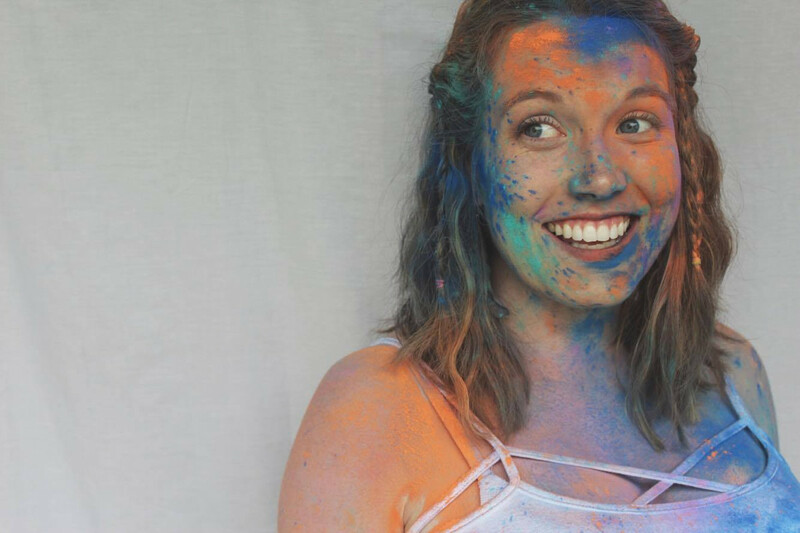 Do you have a favorite that didn't make the list?